Creative living begins with the freedom to be yourself. Calm reflection, meaningful connections, plenty of green space—at Crown East, whatever you have in mind is within reach, from a morning jog to a twilight squash game, from a café lunch to a park bench and a few moments of peace under the trees. Come home to Crown East, and find your own path to inspiration. Truly brilliant—and brilliantly balanced. The ultimate expression of Crown’s energized, connected lifestyle. Scale new heights on the rock climbing wall. Swim laps in the pool or soak in the sunshine on the expansive deck. Meet your match on the courts, center yourself in a yoga class, or gather with friends around the warmth of the outdoor fireplace. 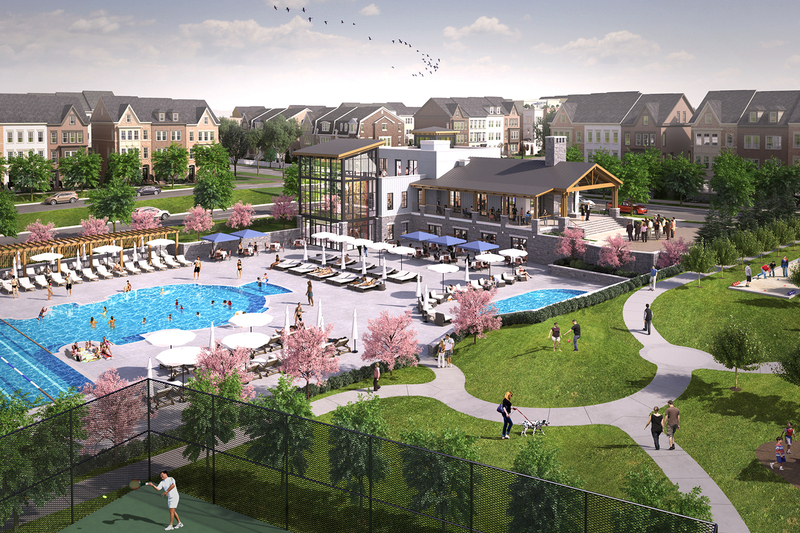 A country club for the next generation, this curated community hub has something for everyone. A Metro Shuttle operates between the community and the Shady Grove Metro station, and Crown is a planned stop on the future Corridor Cities Transitway.